Flowfinity is a no-code software for building end-to-end workflow solutions and sophisticated business applications without any programming. SMBs and Fortune 500 companies are able to automate any business process using web-based, point-and-click app building tools and create mobile forms, workflows and dashboards. Flowfinity’s key features include a cloud database, real-time dashboards, and cross-platform mobile apps. Flowfinity enables organizations to create end-to-end workflow solutions to improve productivity and increase visibility into operations. All data is centralized, and can be integrated with other back-end systems. Field users are able to collect and access data via their mobile device, while office users can review field operations in real time, as well as dispatch or assign tasks. Reports can be emailed from the field to managers, customers, or partners, as well as exported to CSV files, or custom-branded PDFs. Users can visualize all two-way, real-time data via the customizable dashboard which can be explored using widgets and filters, and managed by setting user and role permissions. Flowfinity’s app editor enables users to create an unlimited number of custom workflow states and rules, as well as choose from 30+ mobile form field types, and customize layouts for specific fields. Apps can be instantly published to all users. Deep links can be used for code-free integration between apps, while the open API allows for integration with external code and applications such as an existing ERP or CRM. Flexible reliable system, easy to adapt and very good value for money. Flowfinity has drastically reduced our paperwork and allowed us to have a live view of activities across several sites showing the status of jobs and issues found. Also the custom coding developed has reduced the amount of time engineers spend writing reports and given them more time to carry out site work. We use the system to satisfy FGas obligations in the UK HVAC industry and it works extremely well.Extremely easy to use and changes can be made and published very quickly. The offline storage of data sets Flowfinity apart from its competitors and permits usage in low signal areas. The support department are very helpful and any issues are dealt with very quickly. Extremely easy to use and changes can be made and published very quickly. The offline storage of data sets Flowfinity apart from its competitors and permits usage in low signal areas. The support department are very helpful and any issues are dealt with very quickly. To fully exploit the system to its full potential a strong background in IT/Programming is extremely beneficial. But anybody can design and publish a basic application to users in less than a hour. Excellent customer service and enterprise-quality product. Flowfinity is easy to use, simple to develop, and painless to administer. End users receive automatic form updates and offline data sync. Development takes place via a web editor with advanced capabilities like calculation logic and conditional visibility. Forms can launch and link to each other and launch other mobile apps. New dashboard features are coming along nicely with optional TV licenses. Data is stored in MSSQL and is easy to push/pull for 3rd party integrations with legacy, reporting, or custom apps. Support for Android, iOS, and web clients. No cons really, maybe a few wishlist items like support for Azure websites and Azure SQL instead requiring a vm. This is the best field technician data collection and management system available! Complete field technician management and measurement of KPIs.The fact that it is completely customizable. Any time we come up with a new idea, we can have it implemented within hours. The fact that it is completely customizable. Any time we come up with a new idea, we can have it implemented within hours. That we didn't start using it sooner! We tried other competitors and failed, but this deployment hit the mark. Flowfinity has been easily integrated in our daily business functions. this software has been extremely flexible and adaptable for our needs. it's made our daily business processes flow dramatically better. Contact Flowfinity for detailed pricing information. Build business apps and workflows faster with a point-and-click interface, not code, and visualize business data in a rich environment with real-time dashboards. Access important data anywhere and anytime, thanks to Flowfinity’s cloud database. Create unlimited custom workflow states and rules to reflect exact business processes and effectively manage all data access through user and role permissions. Keep up with evolving business and customer requirements with instant app updates on iPhone and Android. Operate seamlessly with existing CRM and ERP systems through an open API, callouts, and deeplinks. Stay productive at all times, even without internet access, with extensive offline capabilities. Below are some frequently asked questions for Flowfinity. Q. What type of pricing plans does Flowfinity offer? Q. Who are the typical users of Flowfinity? Q. What languages does Flowfinity support? Q. 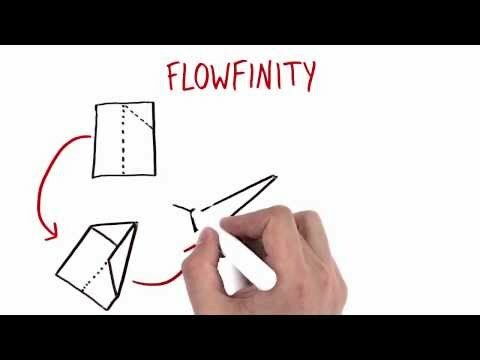 Does Flowfinity support mobile devices? Q. Does Flowfinity offer an API? Yes, Flowfinity has an API available for use. Q. What other apps does Flowfinity integrate with? Q. What level of support does Flowfinity offer?